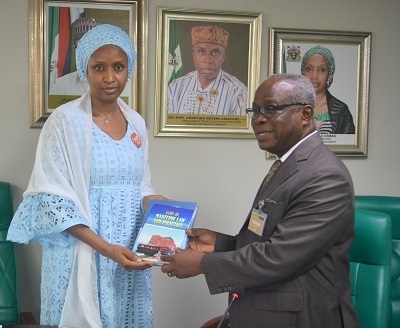 The Managing Director of the Nigerian Ports Authority (NPA), Hadiza Bala Usman has reiterated the decision of Management towards the retraining of its Legal Officers and the reinvigoration of the Organization’s Legal Unit for improved Administrative efficiency and optimal output. 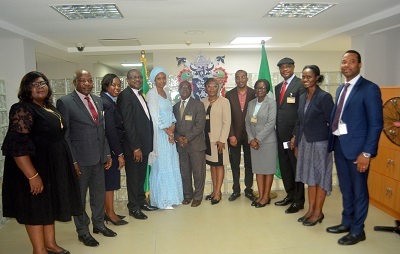 This she emphasized would only materialize in the area of capacity building through effective interface with Maritime Lawyers whilst assuring the visiting Maritime Lawyers of improved synergy on pending cases of the organization in various courts across the country. 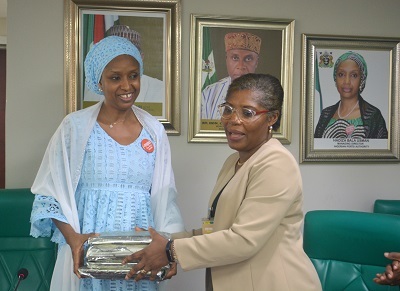 According to her, Management would in the coming days seek for Legal support in the interpretation of bills especially the Ports and Harbours and the Nigerian Transport Commission (NTC) bills presently at the National Assembly. The NPA helmsperson made this remark when the Executive Members of the Nigerian Maritime Law Association (NMLA) led by its President, Chidi Ilogu (SAN) paid her a courtesy visit at the Organization’s Corporate Headquarters, Marina, Lagos, today. In his response, the NMLA Chairman, informed the gathering that its Association which was formed in 1979, is the Nigerian arm of the Committee Maritime International (CMI) that was formally admitted as a member at its Conference in Canada in 1981. The Association comprises of various professionals who amongst others promote, practice, study the advancement of Maritime and Mercantile Law with emphasis on Nigerian Maritime Law and its Administration. It also affords the opportunities for the discussion and consideration of Maritime related matters of interest to its members. The Legal Association applauded the positive contributions of the NPA in the area of its policies on Ease of Doing Business, level playing ground for Port users, efficiency in Port operations, improved turnaround time for Vessels and the Deep Seaport initiative.